iRealHousewives | The 411 On American + International Real Housewives: The Real Housewives Of Potomac Begins Filming Season 3! The Real Housewives Of Potomac Begins Filming Season 3! 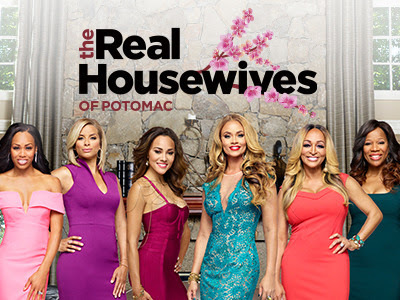 After a successful second season of The Real Housewives of Potomac, the ladies will return for a third season. Filming for the upcoming new season kicked off this weekend as cast members Ashley Darby and Monique Samuels were spotted filming for the Bravo hit reality series. The ladies were spotted filming at Darby's restaurant Oz. A sign was posted outside the eatery Australian establishment letting customers know that they might appear in the upcoming season as they are filming inside the restaurant. Also, Twitter account @Danny101 shared photos of Darby and Samuels are they were spotted filming for the third season of RHOP. As we previously reported, an inside source revealed to Real Mr. Housewife that "Bravo is definitely planning on a third season of Potomac. While they haven’t officially announced it yet, that will be coming, and it’s definitely going to be happening." The site also reported that as far as cast changes go, the insider confirmed that "Bravo is NOT planning any major cast overhaul, regardless of rumors being reported." Are you guys happy to see RHOP back for another season? Sound off in the comment section below!